Pres. 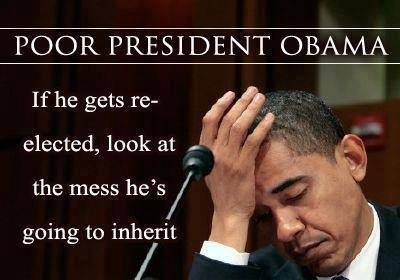 Barack Obama | Kingwood TEA Party, Inc.
“Obama, it would seem, wants to deny to others what he will not deny to himself. He wants to deny to the children of others what he will not deny to his own children. He wants to amass riches, but he doesn’t want you to amass wealth. He doesn’t mind private school for his own children, but he minds it for your children. He doesn’t mind eating whatever he wants to eat, but he minds what you eat. Listen to Mark Levin’s entire segment on Real Clear Politics. Excerpt 3: “Judge Andrew Napolitano, a Fox News analyst… said, ‘I think the president is dangerously close to totalitarianism. A few months ago he was saying the Congress doesn’t count. The Congress doesn’t mean anything. I am going to rule by decree and by administrative regulation. Now he’s basically saying the Supreme Court doesn’t count. It doesn’t matter what they think. They can’t review our legislation. '” “That would leave just him as the only branch of government standing,” Napolitano said. Excerpt 4 (emphasis mine–rhl): “Erik Rush, a columnist and author of sociopolitical fare, including “Negrophilia: From Slave Block to Pedestal – America’s Racial Obsession,” wrote about the New Black Panthers, and how their “advancing Marxist agenda is being not-so-subtly choreographed from Barack Obama’s White House.””Civil unrest is an Obama administration objective, since it will facilitate crises sufficient for the president to justify suspensions of civil rights. Provisions in the National Defense Authorization Act, Obama’s recent National Defense Resources Preparedness executive order, as well as others, have certainly paved the way for such action. 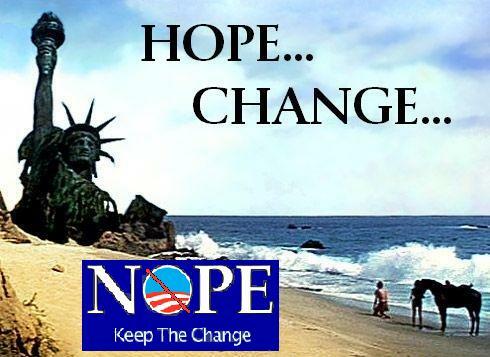 Hope & Change in Obama’s 2nd Term? So, what other plans does the President have for us if he is re-elected. If he thinks his “flexibility” was hindered this term, I am not HOPEful that we will survive the rest of the CHANGE he has in store for us. 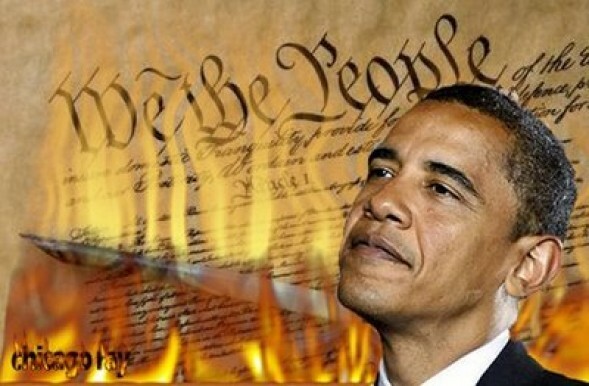 Blog: State attorneys general report tackles Obama's unprecedented lawbreaking. via Obama Campaign Launches ‘Truth Teams’. As Ryan says: “We know all too well that too many Americans are hurting today.” It is in these periods, when times are tough, “when the pie is shrinking, when businesses are closing, and when workers are losing their jobs,” that the American idea is tested. To deal with these problems, President Obama engages in disingenuous arguments based on the concept of class warfare and the emphasis on egging on those in trouble to try and deal with their problems by squeezing the rich. As Ryan points out: Nearly three years into his presidency, look at where we are now: Petty and trivial? Just last week, the president told a crowd in North Carolina that Republicans are in favor of “dirtier air, dirtier water, and less people with health insurance.” Can you think of a pettier way to describe sincere disagreements between the two parties on regulation and health care?Chronic avoidance of tough decisions? The president still has not put forward a credible plan to tackle the threat of ever-rising spending and debt, and it’s been over 900 days since his party passed a budget in the Senate.A preference for scoring cheap political points instead of consensus-building? Can you think of a pettier way to describe sincere disagreements between the two parties on regulation and health care? Chronic avoidance of tough decisions? The president still has not put forward a credible plan to tackle the threat of ever-rising spending and debt, and it’s been over 900 days since his party passed a budget in the Senate. A preference for scoring cheap political points instead of consensus-building? The U.S. House of Representatives Committee on Oversight and Government Reform, led by Darrell Issa (R-CA), has issued a 37-page report (PDF) that accuses the White House of “an unprecedented number of public relations and propaganda efforts,” including efforts that the committee found to be inappropriate or illegal.